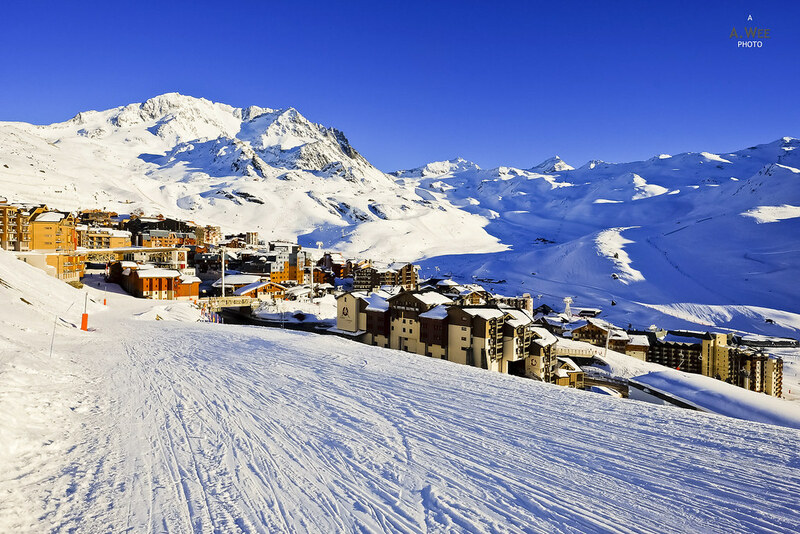 Val Thorens has been named as one of the best ski resorts in the world before, and it is the highest ski resort in Europe with an altitude of 2,300 metres. This altitude means that the snow quality should be great for winter and spring skiing. And that is in addition to its linked ski trails to the Les 3 Vallées allowing skiers to head to Courchevel and Meribel from the resort. 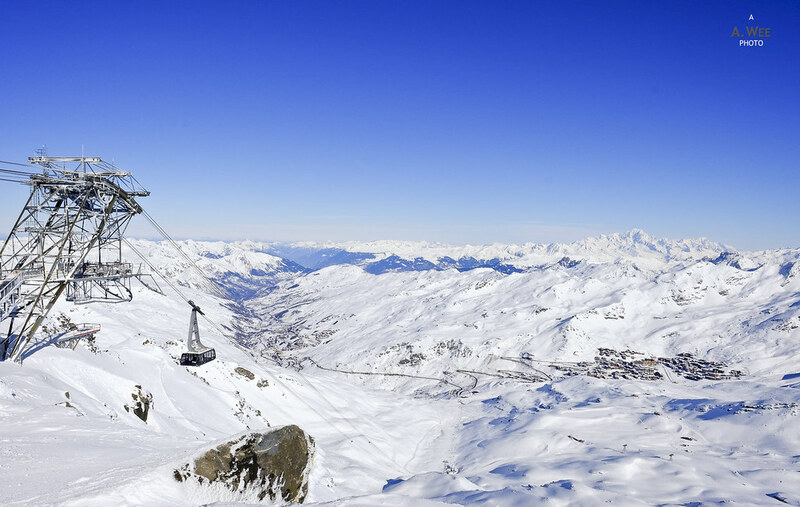 The most convenient way to reach Val Thorens by public transport is by bus from the town of Moutiers, and there are direct trains from Paris and Lyons to Moutiers. For more information, I have written a more detailed post about getting there. Being part of Les 3 Vallées as the world’s largest connected ski area, Val Thorens has one of the most impressive lift infrastructure amongst ski resorts I have visited. Consider that there is a total of 5 separate gondola lines though 3 of them are mid mountain to summit lines while 1 is a connector line. Only the Peclet gondola goes from the base of the village to the Glacier Peclet area. 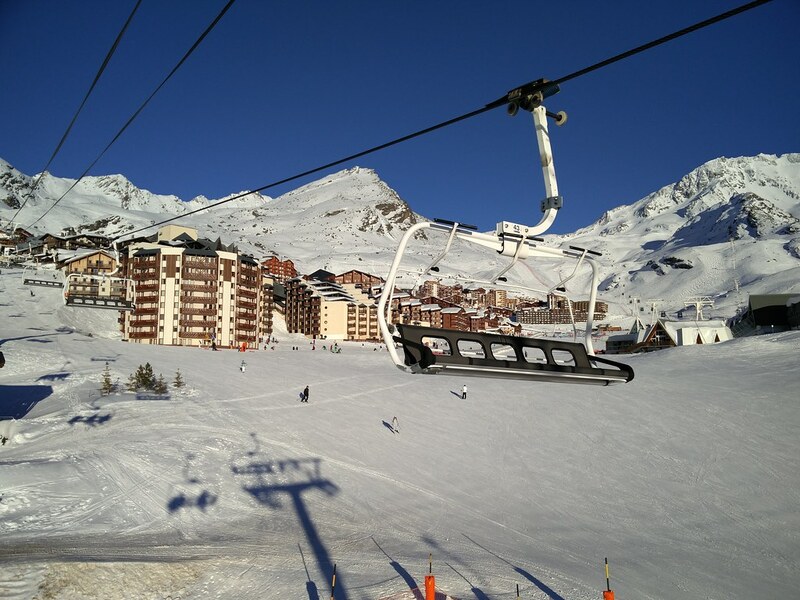 Another popular gondola is the large Cime Caron that goes to the Caron sightseeing point. I would have to say that most of these gondolas look and feel modern, making them a very comfortable mode of riding up to the summit for skiers. The rest of the chairlift system are equally modern and fast. 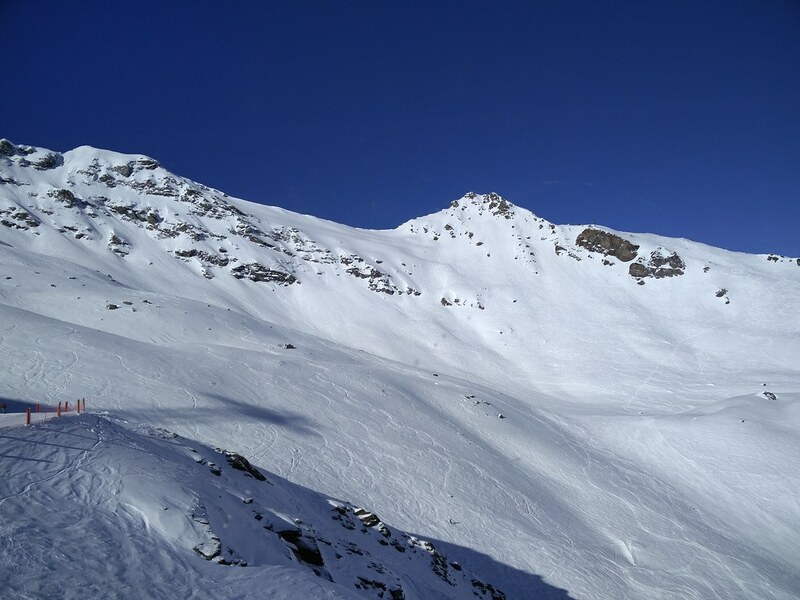 Most prominent of the chairlift system would be the 2 Lacs, Moutiere, Moraine and Portette that would lead to other lifts leading to respective summits with some allowing skiers to access the Orelle ski area. 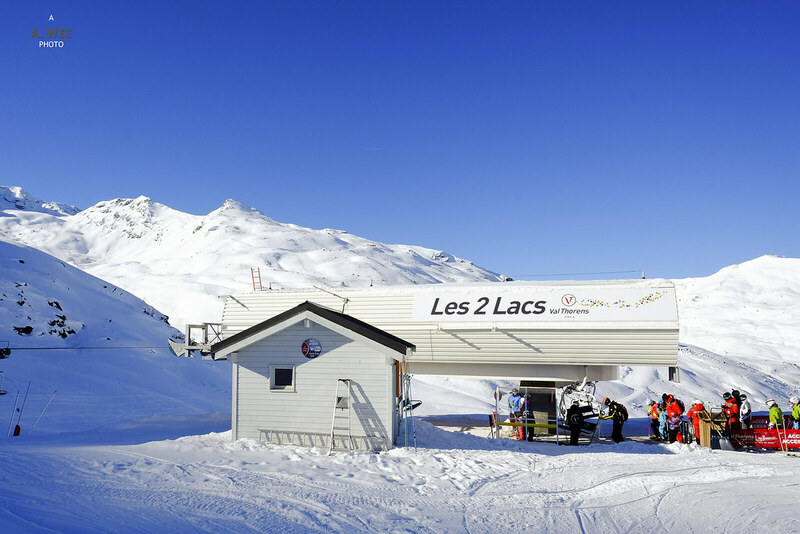 The other side of the mountain, the Cascades chairlift leads to a beginner area while Pionniers and Plein Sud whisks skiers towards the La Folie Douce lodge for after ski drinks and food. 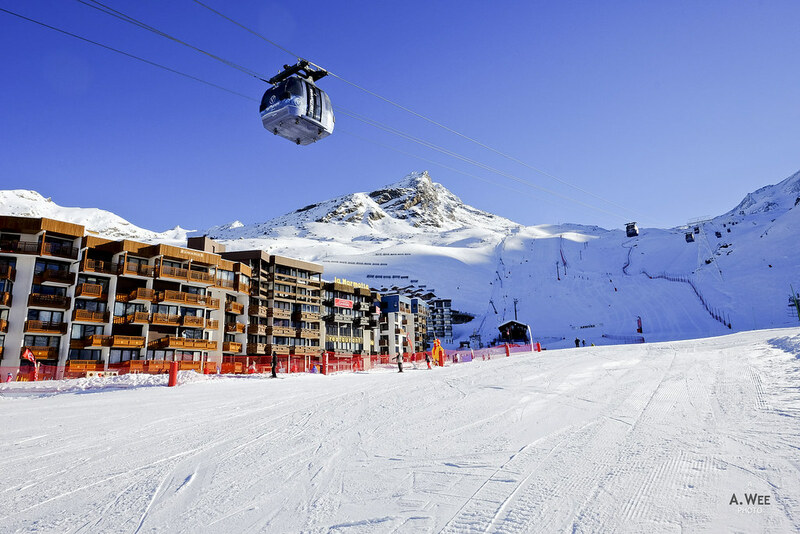 The latter 2 chairlifts are also essential for skiers wishing to head over to Meribel and Courchevel. 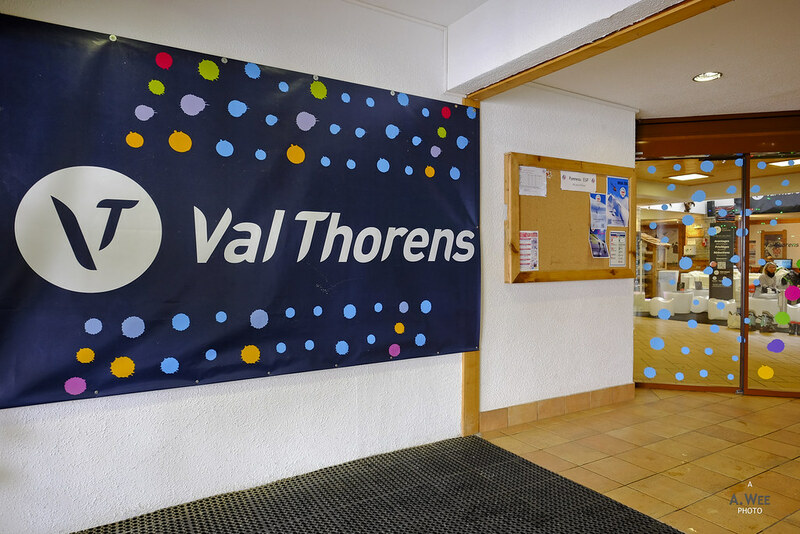 There are several tiers of pricing for ski passes in Val Thorens, with the cheapest prices being for half day passes either for the morning (up till 12:30pm) or the afternoon (after 12:30pm). 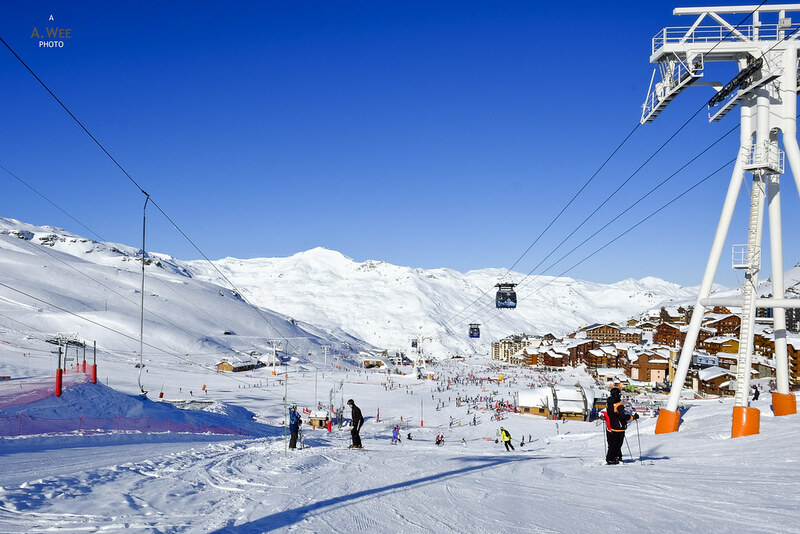 The cheapest daily lift ticket starts at EUR49 (~$55) though this ticket allows skiers to use only the chairlifts and gondolas in Val Thorens and Orelle. foI did not buy multiple day tickets as I wanted to explore the rest of the 3 Vallées. Thus I bought a day pass for Val Thorens and Orelle, while purchasing the Les 3 Vallées pass for the other days. A day pass for the Les 3 Vallées costs EUR59 (~$67) and would be worth the savings if purchasing 5 days or more. Given these prices and the modern lift infrastructure, I am inclined to say this resort is quite well worth the cost. In fact it is very good value for money for skiers keen to ski in the Alps. 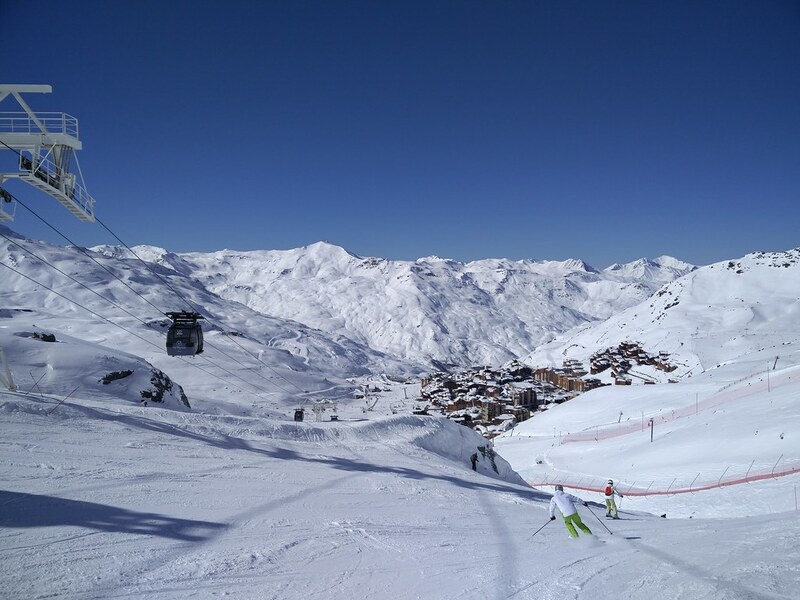 Val Thorens’ base forms a very nice beginners’ area. This space extends from the ski-out areas of some lodges into the starting point for the Peclet gondola. There is a tow-bar for beginners to familiarize themselves. Though being a ski-out point, this area can get busy throughout the day. The other green runs in the resort lies around the 2 Lacs chairlift and the Cascades chairlift. With nice groomed runs and no trees or huge cliffs, these areas are suitable for beginners and should make it easy for them to progress. In a large resort, the beginners area is surprisingly adequate, and some of the blue runs from the top can also be used by beginners who are progressing fast. More advanced skiers would enjoy skiing here. There are a lot of blue and red runs covering the majority of the resort. 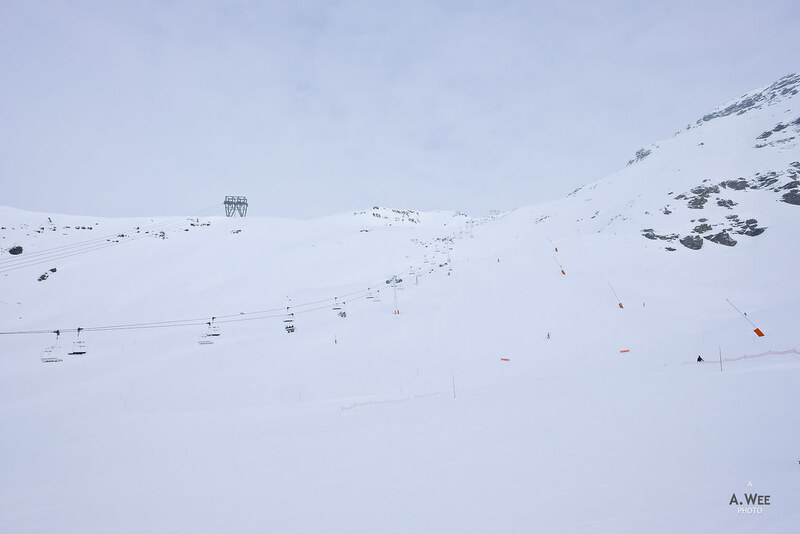 From every chairlift and gondola there is always an intermediate run leading back to the base, with the exception being the Glacier chairlift that leads to the top of Glacier Peclet. There are easy intermediate runs like Moraine and Genepi from the Moraine chairlift. With these runs, they can be a sort of a warm-up run and to acclimatize oneself with the mountains in this high altitude. Some of these intermediate runs are long with marvellous views all around. Take for example the Col de l’audzin run from the top of Caron to the base that gives a nice view of the valley on a clear day after enjoying the panorama from the top. Lac Blanc from the top of Peclet on the other hand is made for a speedy descent while the blue-marked Traversée de Montaulever is a wonderful way to wrap up the day of skiing with the sunset casting a warm glow on the village. With the lack of trees, the mountains is not the best for off-piste skiing under snow and low visibility. However on clear days, the whole mountain can be an expert skier’s playground. There are some step bowls like the Glacier de Peclet from the Glacier chairlift. And there are also numerous off-piste ski opportunities from most of the summits. While these areas can be quite steep, they are still manageable by strong intermediate skiers, and should not be too challenging. Being a full sized ski resort, there are some areas for park riders, mainly around the top of Moutiere with a fun slope at the traverse from the top of 2 Lacs chairlift. Though from what I can tell, the parks does not form a major focal point of the resort unlike in North American ski resorts. With such a high altitude and the fantastic lift system, there really is no need for dining at the top which can be quite cold. However there are still plenty of dining opportunities at the lodges spread across the mountain. Many are located at the top and base of the gondolas. 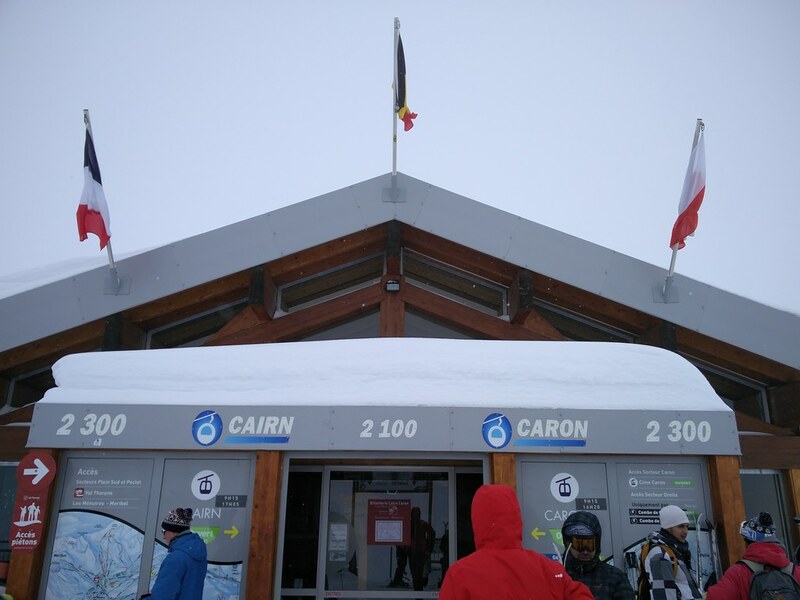 There is a chalet at the top and base of the Caron gondola, at the top of Peclet and the top of 2 Lacs chairlift. There is also the La Marine along the piste on the easy intermediate run from the Cascades chairlift. 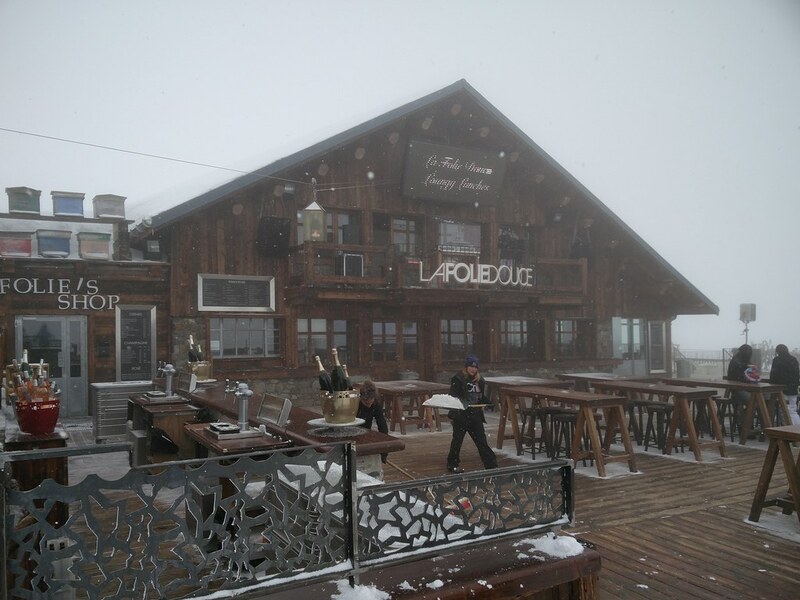 However one of the nicest place to hang out in between skiing is probably La Folie Douce which is best accessed from the Plein Sud chairlift. This is also a prominent sit for aprés. 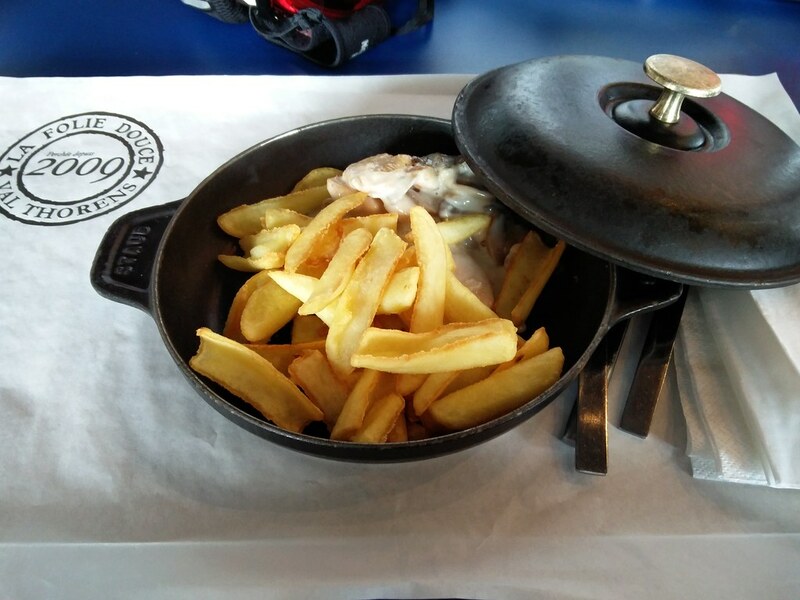 Since I was basically touring, I had lunch at Courchevel and Meribel to try out the variety of food on offer. Thus I only had lunch once on the slopes at La Folie Douce. The restaurant is of a moderate size and can be difficult to find seats during the lunch hour crowd especially for such a large resort. Skiers also tend to have lunch at the restaurants at the base where there are plenty of choices. 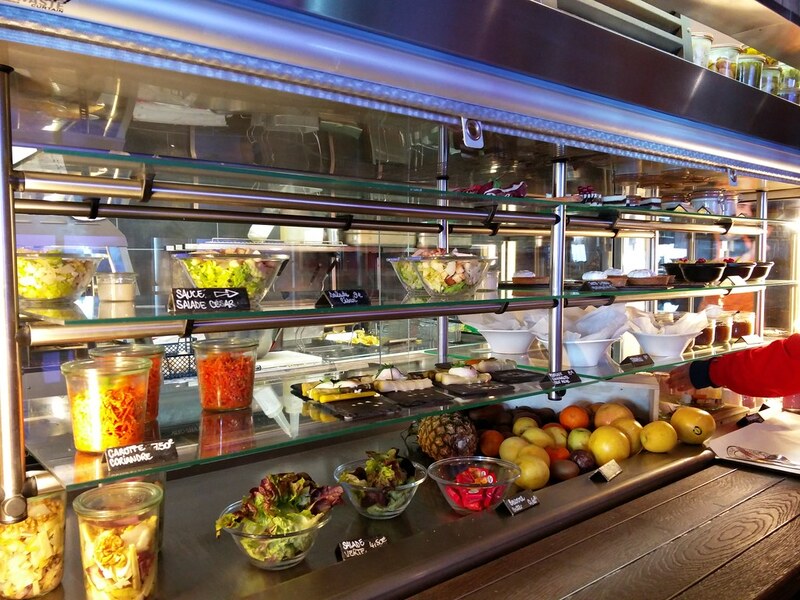 The cuisine is European as expected with a variety of salads and plates of the day. There is a selection of desserts and snacks from the self-serve counters as well. Prices range from EUR 15 (~$17) for a pasta to EUR 21 (~$24) for a burger and fries. It sure is expensive to eat in the mountain lodges though prices for entrees in the restaurants are around the same price. These are the same prices I expect to pay back in the higher end ski resorts in North America as these prices includes taxes. 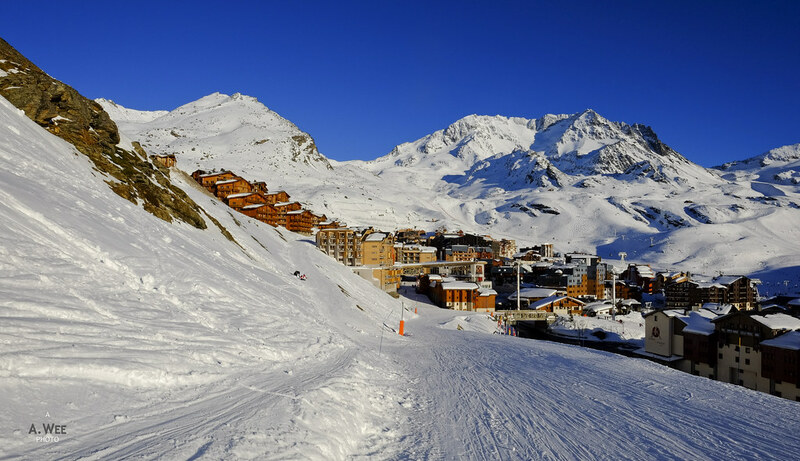 Plenty of accommodation options are available to skiers in Val Thorens, and they range from hostels to apartments and luxury hotels. The largest hotel in the village should be the Club Med and the luxury options includes from Hotel Pashmina where I stayed. Other luxury properties to check out are Hotel Altapura and Koh-I-Nor. 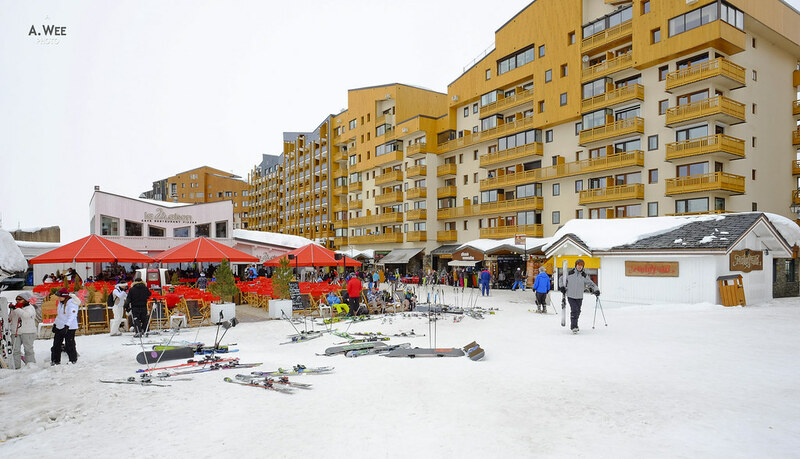 Wherever skiers stay, they are close to having ski-out access and I believe many hotels have shuttles on demand that will pick guests up from the Galerie Caron which is right in the centre of the village. 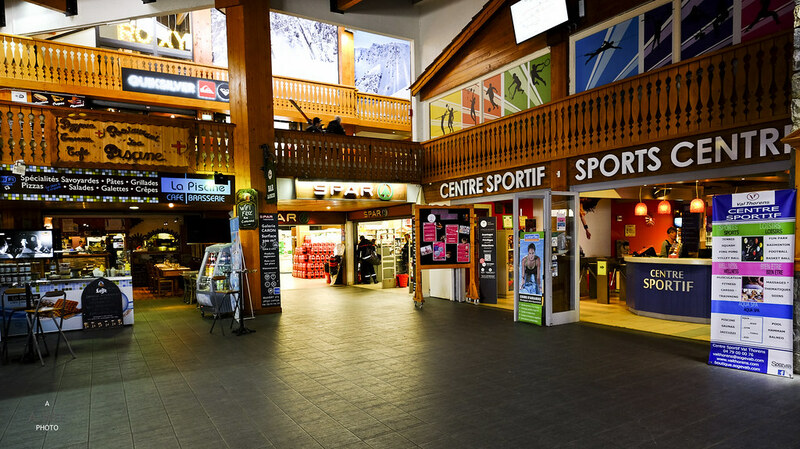 As a well developed village, I found the areas most convenient to stay in would be around Place de Caron where the Galerie and main bus station is located at and Place de Peclet where there is a large parking area with another mall. Both of these areas have the largest concentration of shops, restaurants and grocery stores, thus making them the most convenient. 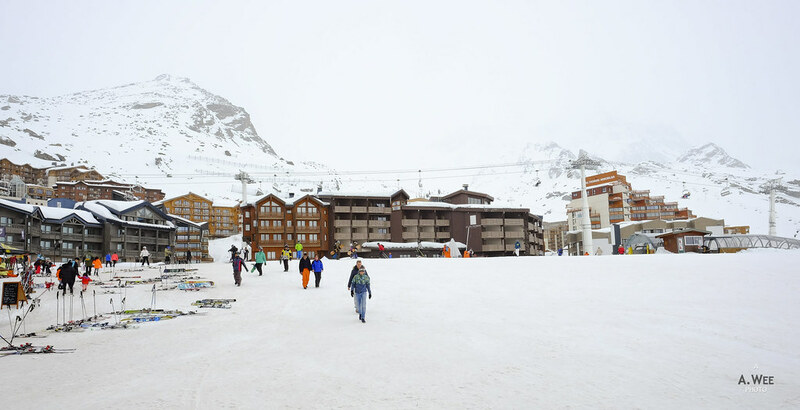 The availability of parking also meant that many visitors to Val Thorens most probably drive up to the resort. This could also be the most convenient and economical way when having a large group as bus transport are infrequent. 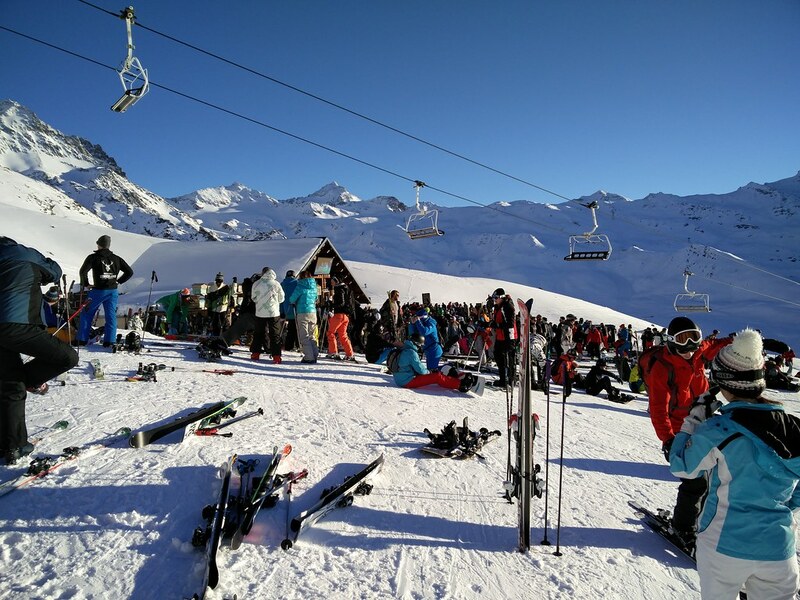 To party after skiing, the best place would be in La Folie Douce where crowds gather on a clear day. In the village, hotels with a porch facing the sunset would also be a popular spot to gather for drinks and snacks. 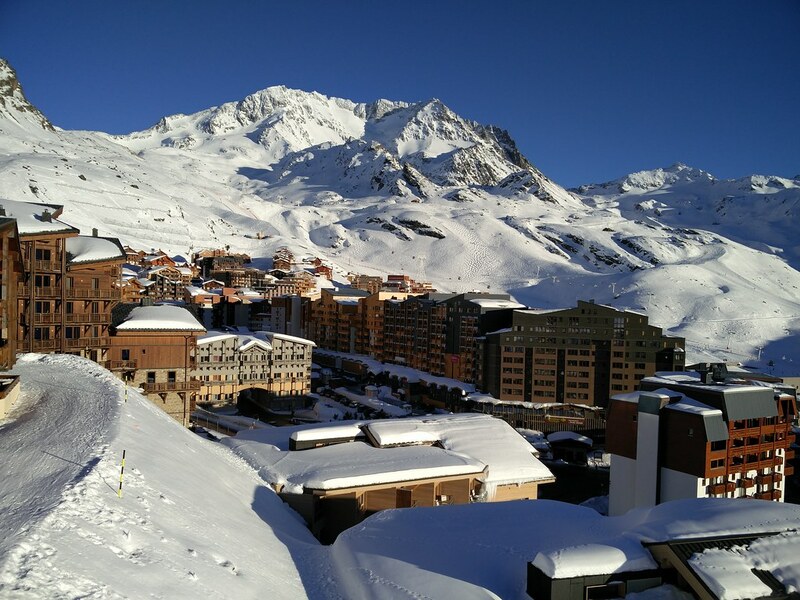 And many hotels in Val Thorens take advantage of the village location and orientation to capture the best views after skiing. Being in Europe, aprés is something skiers should take the time to enjoy to wrap up the day and I sure enjoyed the view along with the food and drinks on offer! On a clear day, one of the best views would be from Cime Caron, which at 3200 metres is one of the highest peaks accessible in Les 3 Vallées. Visitors can spot many notable peaks of the European Alps, with Mont Blanc clearly visible in the distance. If one squints, Matterhorn might even be visible. The panoramic views from the numerous summits here are certainly something to behold and savour. 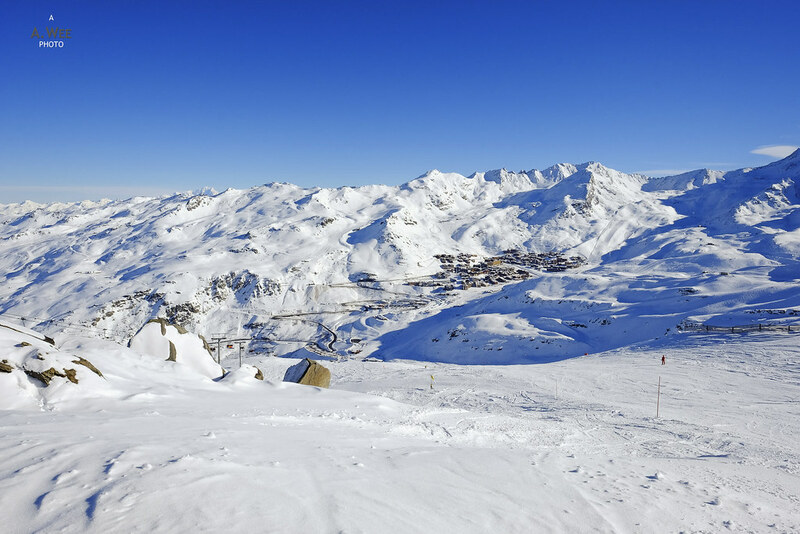 Combining the strong culture of skiing in Europe with one of the highest altitude ski area to guarantee good snow conditions, Val Thorens should be on every skier’s radar when they head to Europe to ski. Being a part of Les 3 Vallées just means that there is a near endless amount of terrain to cover and even with one week in this huge resort, there would always be new experiences. Even after experiencing some of the best North American ski resorts, I enjoyed my first European ski experience! In fact I have ear-marked the Les 3 Vallées region as one resort to come back to once again if I plan a ski trip in Europe! After reading your post I almost wished it would be winter again, so I could hit the slopes again. Great post! Skiers will always look back and cherish the times they spent. Let’s hope for an even better winter coming soon!